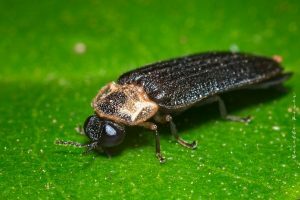 Fireflies are a member of the Lampyridae family of beetles. 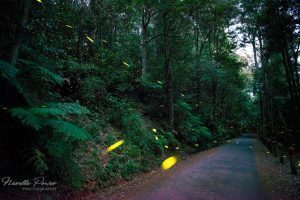 Fireflies are often active on dusk for a relatively short period of time, and the pulse of light, or bioluminescence is used to attract a mate or even prey. The pulse of light is referred to as a ‘cold light’ as all of the energy is released in the burst of light, and very little in heat. 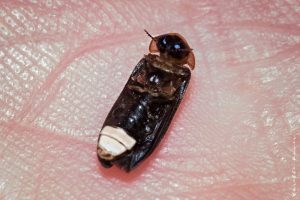 The pulse of light is due to a chemical reaction which takes place in the insects light-emitting organ, which is located in the abdomen, which you can see in the photo of the beetle below. These photos were taken at in August at Austinville just on dusk, and lasted for a period of approximately 20 to 30 minutes. 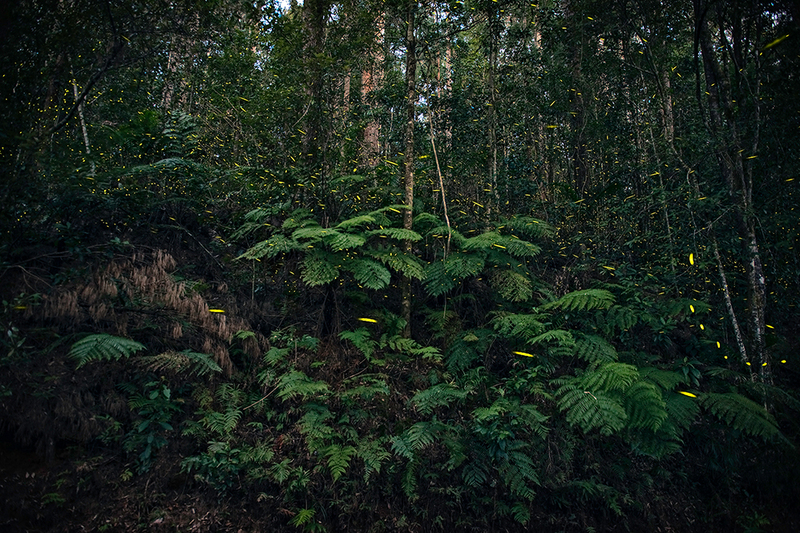 The photos of the firefly trails are combinations of 17 photos into one.